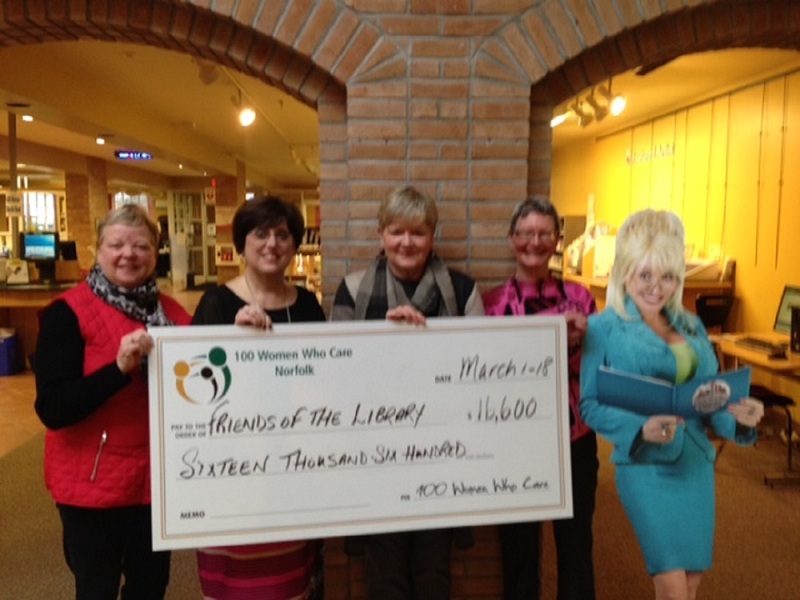 Friends of the Library Norfolk (Presented by Nancy Sherwin) was the successful recipient of $16,600. The money raised will go towards the new Dolly Parton Imagination Library Program. What is this program all about? Parents in Norfolk County can register their children as soon as they are born or anytime up until the age of 5 with the library. Each month, the child will receive (by mail) a book appropriate for their age – as selected by a team of literary specialists. The children will receive books each month until the age of 5. It is proven that children, at the earliest age, who are read to and/or who in turn learn to read to others, excel significantly in their learning abilities. The library currently has private funding which supports 100 children. This evenings donation will expand that reach to 200 Norfolk children. Although not necessary, if parents are financially able to, they are encouraged to help fund this program for their children. Nancy encouraged book clubs around Norfolk County to consider donating to this extremely valuable program. Why is the program called Dolly Parton Imagination Library Program? Because, as a child, Dolly didn’t have these type of resources at her disposal and feels she missed out on an important learning experience. Her foundation created this idea and has rolled it out to many US and Canadian Library’s.